On the internet, spam messages are something that people want to avoid. However, in South Korea, Koreans like Spam – the American brand for the canned luncheon meat. South Korea is now the biggest consumer of Spam outside the U.S. Koreans give Spam as gifts for Seollal (설날) (Lunar New Year) and Chuseok (추석) (Korean Thanksgiving) and premium gift sets of Spam are available at top department stores like Lotte during those times. Spam was introduced into South Korea by the U.S. army stationed there during the Korean War (1950-1953). At that time, Korea was very poor and meat was a luxury food to them. The Koreans used Spam and other leftovers obtained from the U.S. army base to cook food in a hot pot. This later became the Budaejigae (부대찌개) or army stew – a Korean style hot pot containing various types of food including Spam, sausages, kimchi, and instant noodles. Owing to the above historical reason, Spam has a special meaning to the Koreans. Even now, Spam (though being treated as a budget food in other countries like the U.S. or Hong Kong) can be given as gifts to family members and friends during important festivals like Seollal and Chuseok in South Korea. Moreover, Spam is an ingredient not only for Budaejigae but also other Korean food like kimbap (김밥), the Korean style rice rolls. So, if you receive a Spam gift set from your Korean friend, please don’t be surprised! Reminder: The next post will be published on 12 December 2014. Watch this space! 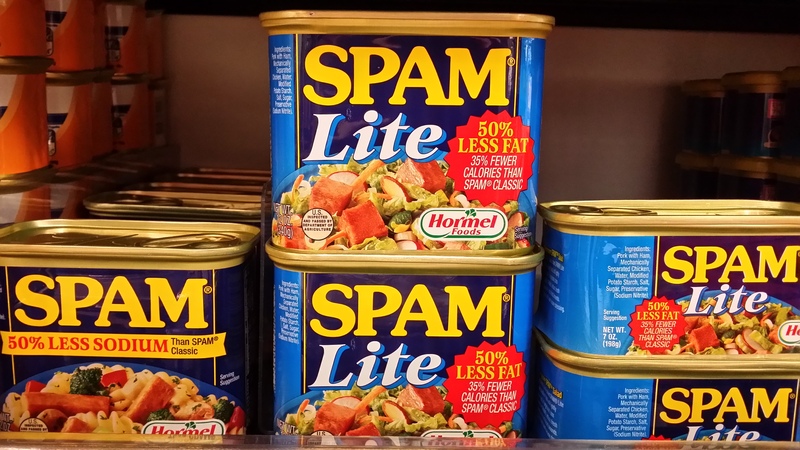 Lucy Williamson, “Why is Spam a luxury food in South Korea?“, BBC News, 2013-09-19 – a short video clip with shots of the Spam premium gift sets and army stew is also embedded into this article. Thanks Willy for your encouraging comments. Korean culture is a topic which I love very much so I would like to share it with other Korean culture lovers. If you have any Korean culture-related topics or questions, you can also contact me and I am happy to help. The theme I am now using is free from wordpress.com. I have made some changes to the default template such as changing the colours, adding some widgets (also free from wordpress.com) and adding the photo taken at the Herb Island as the logo of my site. Thanks Davina for your comments – reader’s comments are valuable to me since this can help enhance the usefulness of my blog posts. I will write some new posts on gift-giving customs so watch this space! lookіng for. can уou offer guest writers tߋ wrіte contnt to suit youг needs? I wouldn’t mind writing a post οr elaborating օn many of the subjects yοu աrite aƄout heгe. Thanks for your comments. I am happy to hear that you and your spouse enjoy reading my blog posts. Currently, I am using this web site to record my knowledge and experience on Korean culture (somewhat like a personal log) and at the same time share them with other Korean culture lovers so for the time being there are no guest writers. However, if you have any comments or thoughts to elaborate on my blog posts, you are welcomed to use the “Comment” function and we can discuss and share each other’s knowledge. Sometimes, the most effective posts aren’t the most used, but this is great in my book. Thanks for your comments. If there are any topics or questions that you are interested in, please let me know and I will try to cover them in my posts. It’s not my first time to go to see this site, i am browsing this web page dailly and get nice facts from here everyday. Thanks for your support. Glad that you like my blog posts. Look forward to your continued support. Thanks for your comments. Feel free to provide comments as it is good to have exchanges with my readers.